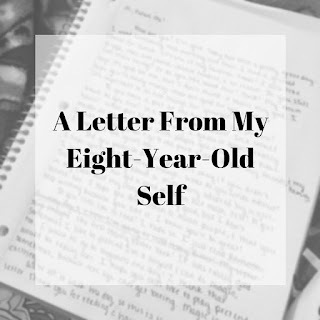 “What would you tell your younger self if you had the chance?” has become the topic of many a magazine article, YouTube video, and web post throughout the years, and for good reason. In sharing our stories, we hope to show others that they don’t need to worry so much about the problems that seem so insurmountable at a given point in their lives, that they will live to put this all in perspective someday, and that there are certain things (i.e. relationships with family and friends) worth prioritizing. Advice from successful people proves that said advice “works,” so to speak, so we should listen to it, right? But all too often we direct said advice toward ourselves, and it takes on a form of regret. “I wish I’d known…” becomes the rueful chorus of those who wish they could change the past — their past. And this isn’t productive. It would seem we need another source of advice to help us reevaluate the choices we’re making and to turn our focus to the future. When my mom arrived in Colorado earlier this week to visit my sister and me, she came with a carload of Rubbermaid bins crammed with my childhood notebooks — notebooks filled with story ideas and first paragraphs of novels that never came to fruition, and the rambling thoughts of a second- and third-grader accounting for every last mundane detail of her day. As I filtered through them to find those I’d actually stuck with long enough to fill out more than just a few pages of, I realized that the stories I wrote about and the events I chronicled were pretty consistent with what I still love most, but sometimes forget to honor in the midst of more adult responsibilities: writing, eating ice cream, reading, and hanging out with my family and friends, for example. And that’s when I realized that maybe my younger self has better advice to offer me than I could offer her. How are you? I am good. It’s been a fun day. I went swimming this morning in Grandma and Grandpa’s pool, and then I had a grilled cheese for lunch. It’s one of my favorite foods! Do you still like to eat grilled cheese? I also like pizza, ice cream, and chicken tenders. Mommy and Daddy keep trying to get me to eat salad, but I think it’s gross. Do you like salad? I think I would only eat my vegetables if they tasted like chocolate! Hey, remember that invention I made up for school that was a spray you could put on your food to make the gross-tasting stuff taste like chocolate? Is that real in whatever time you’re living in now? It was a pretty cool idea. I like pretending and making stuff up, and I hope you still do, too. It’s fun to be silly and creative! I just read the first Harry Potter book. That’s a pretty cool made-up world! Do you still like to read? What are you reading now? Sometimes, when I hang out with my friends, we pretend we’re wizards like in Harry Potter, and it’s really fun. Other times, we go to the park, play in the pool, or look into space through the telescope Marina’s dad just got (one time we zoomed in so close we could see the craters on the moon — so cool!). What do you like to do with your friends? I went to Hawaii for the first time with my family this summer, and I got to try a lot of new things like hula dancing, parasailing, and snorkeling! It was so fun to leave California for a while to see and do some things I’ve never done before, and I learned a lot! I hope you’re still trying new things, and that you still like to hang out with your family. What did you grow up to be? Right now, I really want to be a writer, so I hope that’s what you’re doing. I just wrote a story about a girl who makes friends with a fairy. One girl in my class said it was stupid, but I didn’t listen to her. Sometimes people are mean, but your friends are always good at reminding you that you’re doing a great job, so you should listen to them instead. And you should never stop doing something you like just because someone else doesn’t like it. So I hope you became a writer. Well, Mommy just called me downstairs to get ready to go to dinner, so I’m going to say bye now. Have a great day! Your turn! What would your eight-year-old self write to remind you of your priorities? Reply in the comments or fill out the contact form to the right and let me know!